The aviation regulator has charged pilots with seriously jeopardizing passenger safety by flying planes filled to capacity. In this searing heat, pilots operating must be lighter at least 20 per cent due to technical reasons to “fly safely”. 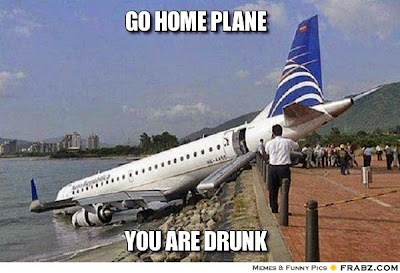 While some pilots said "no comments, hic! " on this development as they are still having hangover, while King of Goodtimes did not respond a query as he was flying high. Pilots have been asked to throw the remaining 20per cent and make alternate arrangements to affect the rule changes. In summer, the extremely hot — and light — air means that pilots do not get adequate lift and so they have to go light to get steadily airborne. while India's aviation safety ranking may have been recently downgraded, but that hasn't stopped the authorities from relaxing norms for drunk flying and endangering passenger safety. A pilot will now lose his or her flying licence only when caught flying in an inebriated state for the third time. Earlier, this fate would befall them on the second instance itself. The directorate general of civil aviation (DGCA) watered down the punishment for flight crew reporting to work high last week when it issued a new civil aviation requirement (CAR) on alcohol consumption. Before this dilution, pilots would have their licence ‘on the rocks’ suspended for three months when caught drunk for the first time at work. Ironically while the punishment for being caught high has been diluted with soda water, the 'hunt' for anyone reporting to work high has been made stringent. 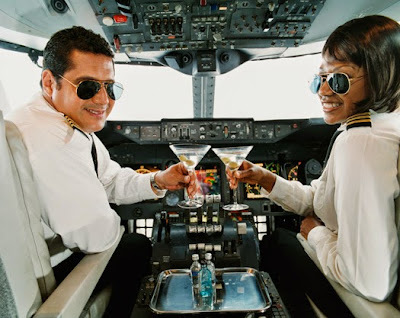 As per rules, pilots, cabin crew and even engineers should stop consumption of alcohol, sedatives or narcotics at least 12 hours before their flights.